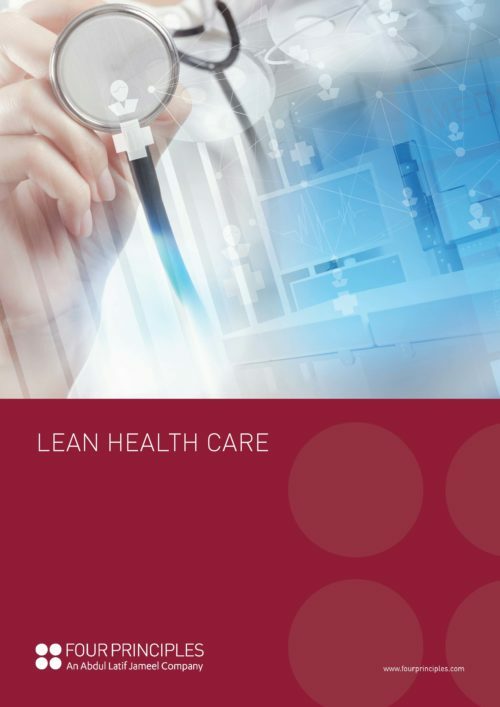 As a sector, health care presents unique challenges for Lean implementation. Lean methodology works from the starting point of defining value from the perspective of the customer or, in this case, the patient. However, such are the complexities of the health care system, it is internal customers that frequently drive processes. In the health care sector, this means up- and down-stream stages in the process, or physicians, hospitals, insurers, government and payers. 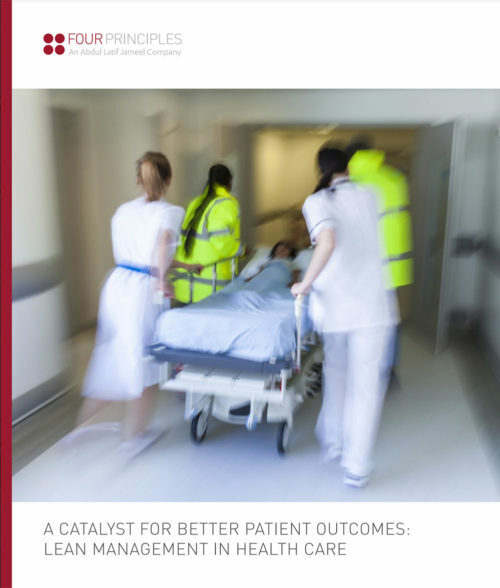 It is therefore essential to re-appraise the process and shift the focus to defining value for the end-user – the patient. From this starting point, Four Principles assess health care processes in much the same way as those of other sectors. The key, as ever, is eliminating unnecessary waste wherever possible. In the case of health care, it is uncoordinated schedules, disconnects between medical departments and long changeover times that create delays and lead to underutilised resources. Similarly, pharmacy and laboratory logistic processes can contain significant waste, as distribution of medicine and samples is delayed by inefficiencies and insufficient transparency of information. From a physical perspective, sub-optimal layouts can not only diminish working conditions for staff and the care environment for patients, but also restrict efficiency, resulting in less procedures and operations being performed in the available time. 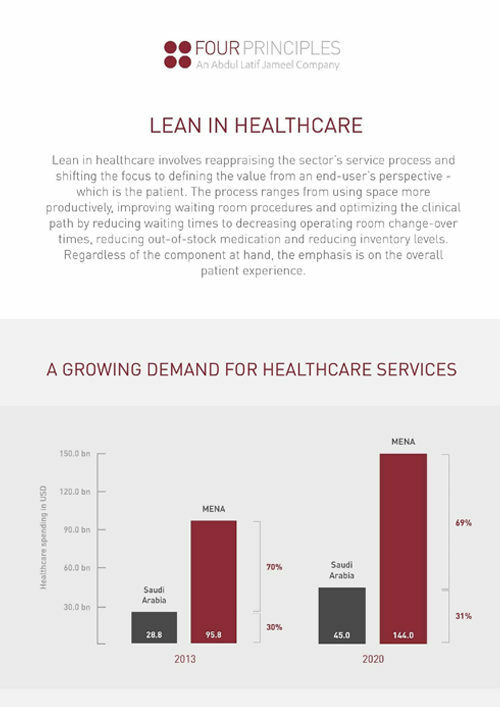 Taking a holistic view of the entire health care delivery process, Lean implements sustainable improvements at every stage. From increasing the usable space for laboratory services to drive up throughput and reduce waiting times for patients, to optimising operating room procedures to reduce the time taken between operations, the emphasis is on improving patient experience. However, it goes deeper than this – with improved working conditions and reductions in the long hours they work, staff at every tier of the process also benefit, resulting in improved morale and increased productivity.